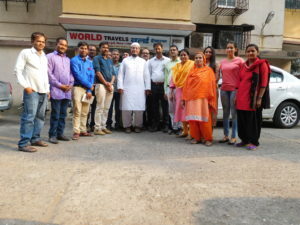 Urban Setu team, the urban unit of Setu Abhiyan, visited Sadbhawna Sangh, Mumbai between 2nd and 4th December, 2017. Sadbhawna Sangh is a union of like minded people who work in network for strengthening democracy and national unity. 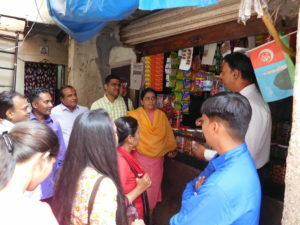 Sadbhawna Sangh has supported formation of Area Sabhas in 22 areas under Bombay Municipal Corporation (BMC) in conformity with Nagar Raj Bill. Mr. Sufiyan N.A. 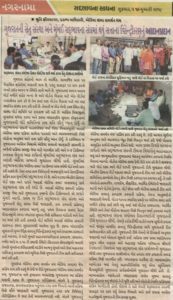 Vanu, Ward Councillor and Area Sabha Members with Urban Setu team during visit to ward no. 179 of BMC. Discussing role of citizens in strengthening governance in cities with Shri Kishan Goradia, Convener of Sadbhawna Sangh. Area Sabha Members of ward no. 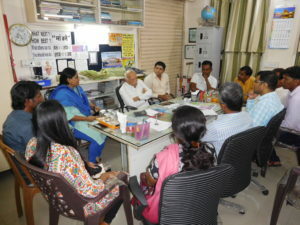 179 sharing their experiences and works carried-out in their area with Urban Setu team.